time horizon of returns , momentum strategies Appear to be profitable in the medium -to long- term while contrarian strategies yield significant profits only in short- term horizons . Indicates That the EMH does not hold in the FOREX market . More strikingly , the time series autocorrelation is Primarily responsible for the extra profits to Both momentum and contrarian strategies. 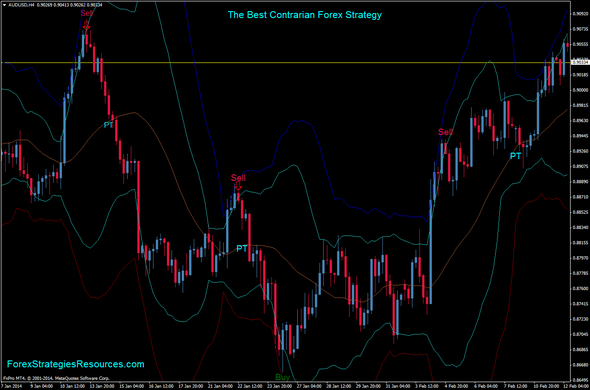 It suggests That it is the autocorrelation That causes the market inefficiency in the foreign exchange market . Markets: Currency, Indicies Metals and Stocks. When the price breaks the lower band Q (red band), wait that the price retraces and close above the lower band acqua with candle up (candle color aqua). When the price breaks the upper band Q (blue band), wait that the price retraces and close below the upper band acqua with candle down (candle color red). Profit Target at the middle band. 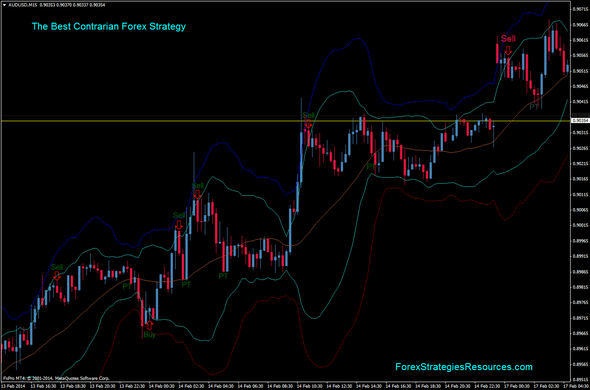 Initial Stop loss the previous swing more 10-100 pips depends by time frame. In the pictures the Best Contrarian Forex Strategy in action.